After two years on Circular Road, our gingerbread project moves a little closer to the harbour, this year landing on the east end of Gower Street to feature these three traditionally colorful row houses. 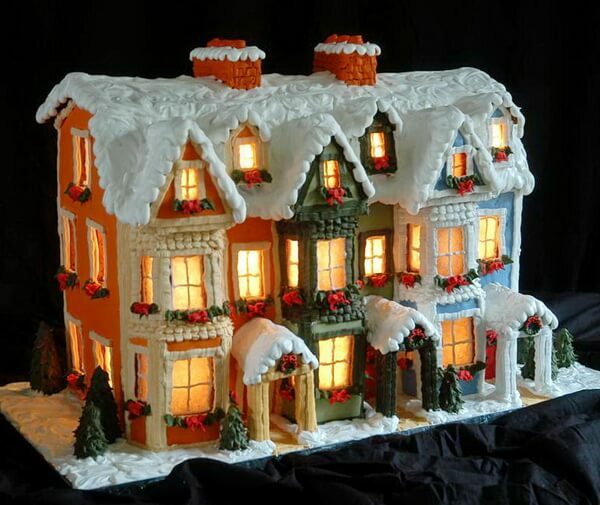 For the sixth year now, this gingerbread creation was raffled off as a fundraiser to benefit Bishop Feild School in downtown St. John’s, Newfoundland. That is amazing…..I used to live on Gower Street. Please post the directions and house template. Merry Christmas Le Secret Chef! Barry, this is fantastic! Great job again this year! Sorry Paul, I don’t have templates, I just eyeball the proportions and wing it. I have a word file with the gingerbread recipe and some tips and instructions though. Email me at [email protected] if you’d like a copy. Perhaps it would be a good idea to post the whole thing though…I just didn’t think there were many people as crazy as me to attempt something like that. This one took over 50 hours to complete from baking to finishing touches. Last year’s took even longer. barry each year you outdo yourself. Awesome job, Barry!! Love it. Fabulous job! I’m one of the crazies who’d love to try something more advanced this year. Not to your standards, but we’ll have fun with it. How many have you done? 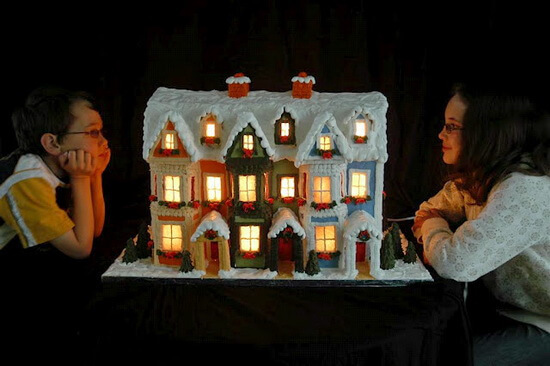 I’ve been making gingerbread houses of some sort at Christmas for almost 20 years. I sometimes smaller ones to give as gifts and have made as many as 20 in a single year. My college course load doesn’t allow me that kind of time now though. It’s a miracle I found the time to do this one.